On Checkout 51’s list this week (Sept 19-25, 2013) is Dove® Purely Pampering body wash, Any Dove® Purely Pampering body wash product. A shower experience that leaves you and your skin feeling restored and nourished*. 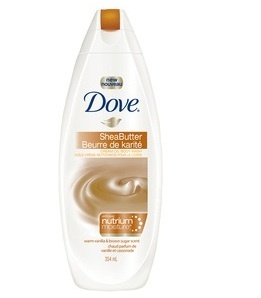 Dove® Shea Butter with Warm Vanilla scent body wash blended withNutriumMoisture® nutrients creates a gentle cloud of creamy lather that fills your shower with a warm scent, helping you feel balanced and renewed. Dove® Body Wash with NutriumMoisture® gently cleanses while nourishing deep down, giving your skin our best care. Caring for yourself never felt so good.. You will get $1.50 cash back rebate at Checkout 51. Here’s a pic of what it looks like. I found a couple prices of it at a few stores.